1. Cedar isn’t dependent on staining and sealing. Some woods are less hardy than others. Pine, for example, is a common fencing material but it doesn’t stand up well to forceful wind or UV radiation after a few years of exposure. Even pressure-treated wood needs frequent stains and seals for long-term durability. But cedar lumber is strong even without a lot of frequent maintenance. Sunlight exposure will gradually turn the cedar gray, but it won’t weaken the fence’s integrity. Many people even see the faded gray coloring as a perk. The natural oils protect the wood without sealants so you can retain the wood’s natural color and advantages without chemicals. Burrowing insects are a constant hazard for wood products. That’s why many decks, fences, and wood siding panels need frequent treatments: to deter wood-eating insects and pests looking for shelter. But cedar naturally develops oils that keep bugs out of its surface, and those oils remain even once a tree has been cut down for lumber. Not only will you have a property line that is less inviting for pests, the fence will stay strong and secure for longer because of the reduced damage. Fencing is a huge element of curb appeal. 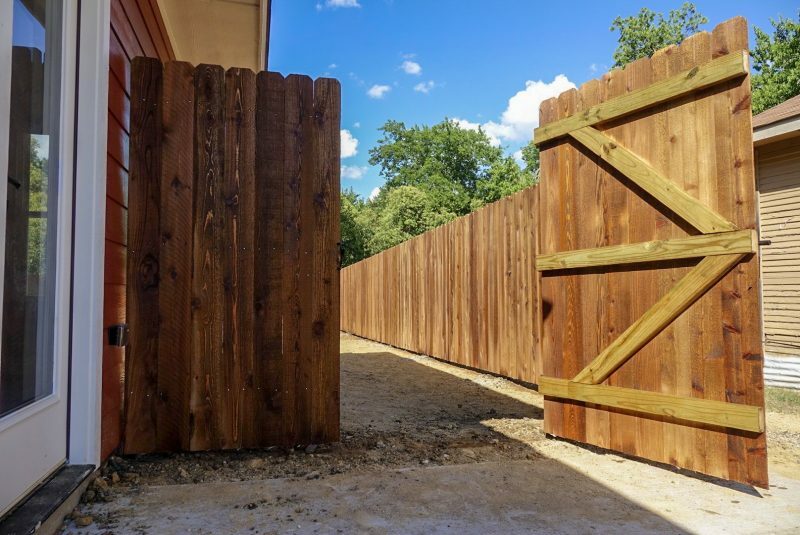 Everything from the color, the straightness of the posts, and the lack of gaps in the surface combine to make a cedar fence look better. Whether you think you might sell your home or you need to replace your fence and want materials that will last, cedar is the best choice. Philip’s Fences can build a fence with the materials, design, and security accessories you’re looking for. Contact us to set an appointment.